With the rack in the middle position, preheat the oven to 180 °C (350 °F). Butter a 20-cm (8-inch) square baking dish. Set aside. In a large bowl, combine eggs and milk with a whisk. Add cheese. Season with salt and pepper. Place bowl aside. In a large non-stick skillet, brown onion and mushrooms in butter over medium heat. Season with salt and pepper. Add spinach and continue cooking for about 1 minute, stirring constantly. Pour mushroom mixture into egg mixture. Stir well and pour into baking dish. 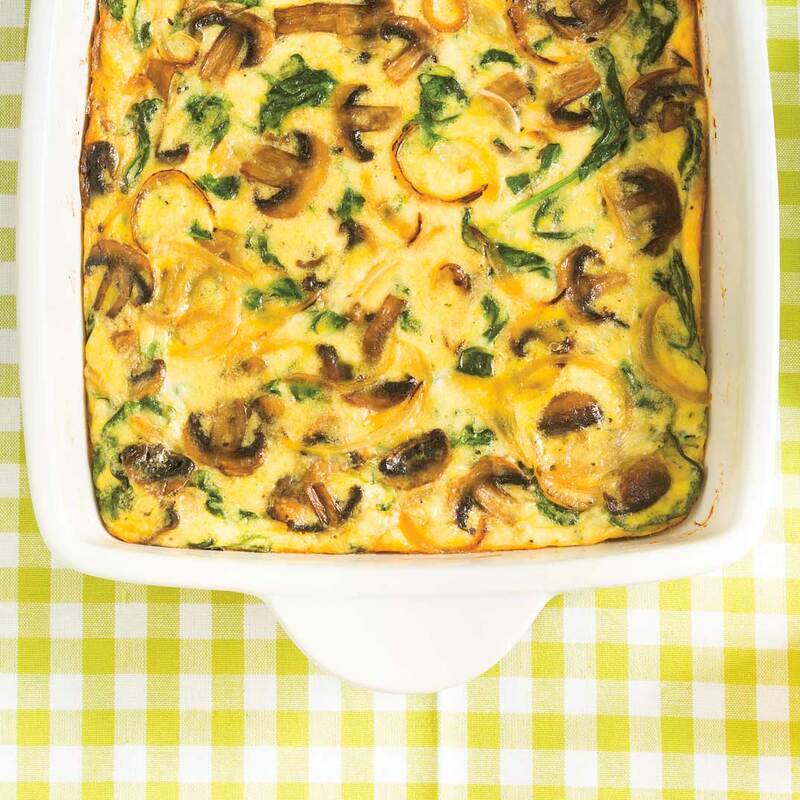 Bake the frittata for about 25 minutes or until lightly browned and puffed. Cut frittata into four squares and remove from dish with a spatula. Place on a plate and voila, it is ready to serve warm or cold. Awesome recipe, I added a few orange peppers for color and flavor. Made exactly as recipe said & it was terrific! Even my husband said it had a lot of flavor ! Best frittata recipe I've made! Serve it with a salad or sliced tomatoes- yummy! 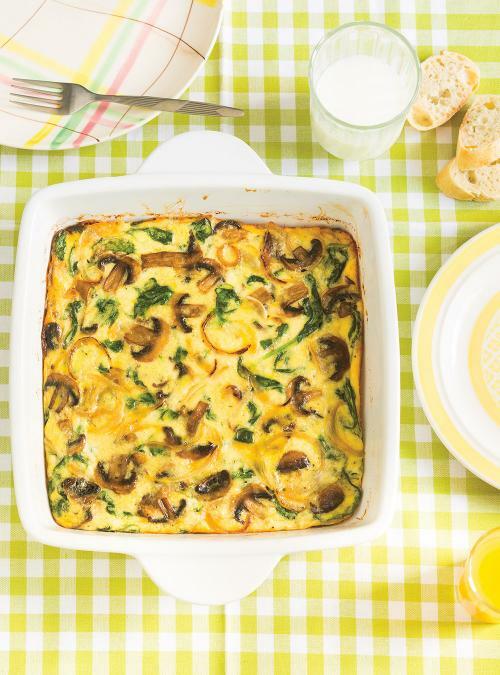 This frittata reheats really well and maintains it's texture and flavour. Easy and delicious. Excellent recipe! This was delicious and I don't even like mushrooms. I would definitely recommend and would make again. Delicious! I skipped the onions and used cremini mushrooms. My vegetarian guests loved it! Actually, everyone did.